An Israeli start-up and an Indian hospital chain will collaborate to bring AI imaging to India. 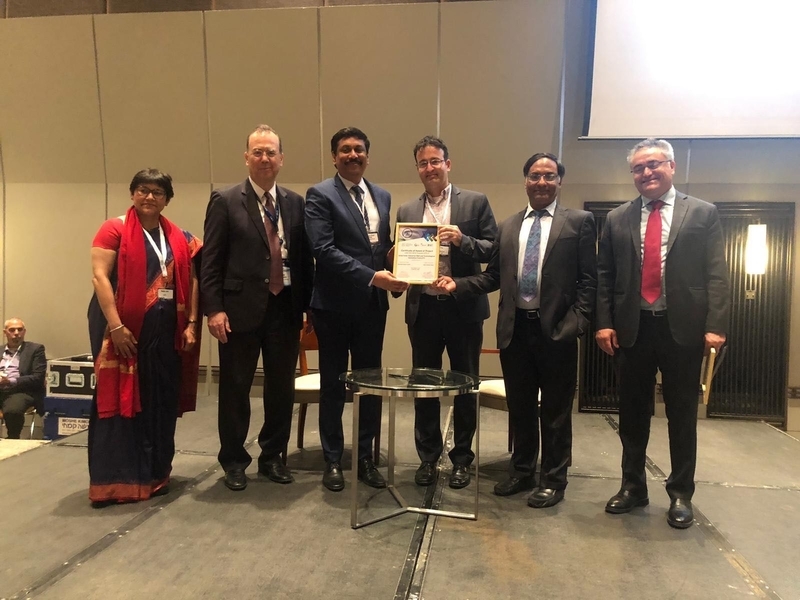 The Global Innovation and Technology Alliance (GITA) under India’s Department of Science & Technology, and the Israel Innovation Authority (IIA), under the Government of Israel, granted HealthNet Global, a part of the Indian Apollo Hospitals Group and Isreali Zebra Medical Vision, funding to validate, co-develop, and deploy medical imaging AI across India and to increase Tuberculosis (TB) screening capabilities in the rural areas. Apollo Hospitals is one of the first and largest corporate hospital chains in India. It has over 70 hospitals and 200 care and diagnostic clinics. HealthNet Global (HNG), is a part of the Apollo Hospitals Group, which works with Apollo Radiology International by deploying cutting-edge AI systems to increase the efficiency of India’s healthcare sector. Israel’s Zebra Medical Vision is a start-up that uses AI technology to help read medical scans and will collaborate with the Apollo Hospitals network deploy its technology across the country and collaboratively develop applications suitable for the Indian market. Zebra and HNG will get support from the India-Israel Industrial Research and Development and Technological Innovation Fund (I4F) for the US $4.9 million project to jointly develop and provide clinical validation, and evidence of the efficacy of radiology Al-based tools in India as per I4F norms. According to a press statement, the grant will aid the partners in the development of an India-specific algorithm-based tool for patients across India and other emerging nations. The project will also modify existing algorithms to make them suitable for the Indian population. The final product will be able to assist as a primary screening method for major diseases in large scale screenings. It is expected to help provide high-quality radiology access to remote locations by alerting the presence of critical findings immediately. This will help provide timely, cost-effective, quality care to patients in remote and rural locations. World Health Organization (WHO) estimates that 3.6 million people with TB are missed by health systems every year and do not receive adequate care. This is primarily because patients with TB may present with mild or no symptoms, particularly early on. Many affected people arrive at clinics too late with advanced disease or multi-drug resistant TB (MDR-TB), which is difficult to treat and more likely to cause death. One of the key strategies to tackle TB is an early diagnosis. Unfortunately, sputum testing is only 50% accurate and frequently misses the disease in its early stages. Both organisations will focus on the development of AI-based Chest X-ray interpretation tool for TB which can help address the gap. A representative from Apollo Hospitals said that when it comes to health, the promise of AI to provide access and improve outcomes in very intriguing. There is a need to provide good healthcare access in remote and rural communities and this initiative will provide the opportunity to make significant advances in this area. As part of the collaboration, the hospitals will also be able to use the deep learning algorithms already developed by Zebra for the detection of other acute conditions such as brain bleeds in head CTs and pneumothorax in chest X-rays, breast cancer in mammograms, osteoporosis in CT scans, and 40 other conditions, the statement said.